Down-filled jackets are toasty warm, though most are too bulky to be seriously considered for long trips and treks. 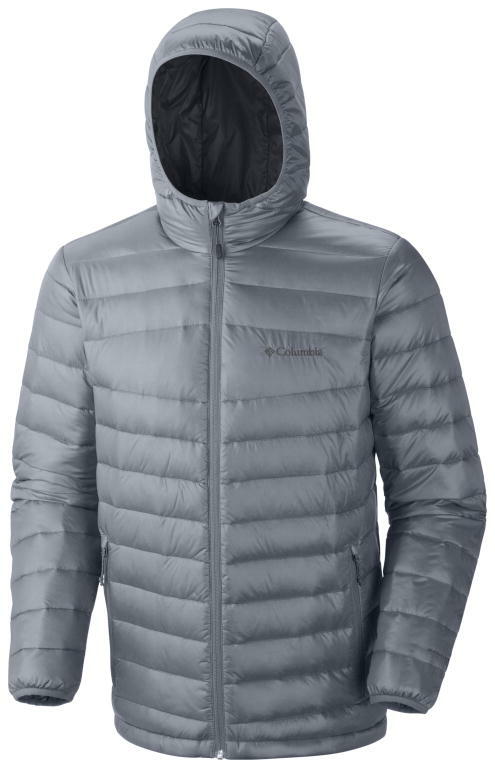 Will we warm to Columbia’s slimmed-down Platinum 860 TurboDown hooded jacket? It’s less than half the thickness of your average down jacket, and yet the Platinum 860 TurboDown feels really warm. Worn outside while stargazing for just over an hour in almost freezing temperatures, we not only didn’t get cold, but actually regretted wearing a thick base-layer. The Columbia’s Platinum 860 TurboDown is hot stuff. The magic comes in the inner lining, an Omni-Heat thermal layer that resembles one of those emergency foil wraps used on mountainsides. It reflects heat back inwards – and it works really well. Other than that magic layer, this jacket is very simple. Two zipped hand pockets, a drawcord hem and a hoodie make it great for winter, though there are no inner pockets, which is slightly annoying if you carry a compass/wallet/phone.keys. However, it’s easy to stow in a backpack. Although the TurboDown also comes in a version without a hood, that’s a sacrifice we at TravGear are not prepared to make. The difference a hood can make during high winds on mountain tops easily trumps the extra weight it brings. An inside pocket short of perfection, this slim down jacket at last makes travelling light in winter a real possibility.